A UCF student affected by President Trump’s travel ban is finally back on campus. Mahmoud Shirazi, 29, a Ph.D. candidate in the college of engineering and computer science, was stuck in Iran for two weeks after being denied entry back into the U.S. but is now back as of Monday, according to the Orlando Sentinel. According to data from the State Department and the nonprofit Institute of International Education, more than 17,000 students from the seven countries affected by the ban studied at American colleges last year; 12,000 of the those were from Iran. 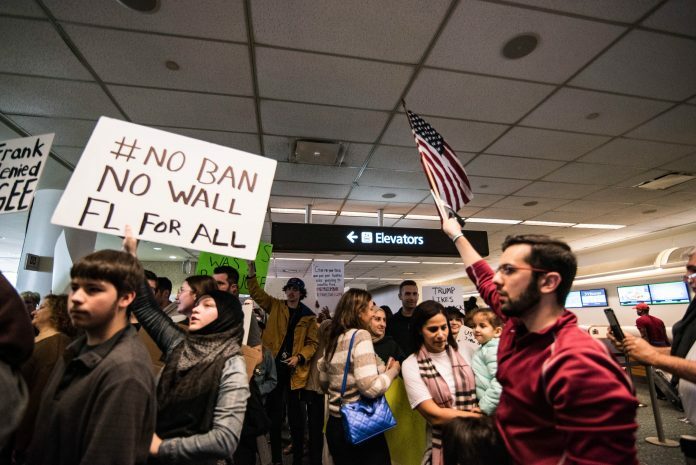 The executive order banning travel and immigration from citizens of Syria, Somalia, Sudan, Iraq, Iran, Yemen and Libya, was stopped after judges in Washington and Minnesota argued that it was overreaching and based on religious discrimination. The ruling was upheld on appeal by the 9th Circuit U.S. Court of Appeals. In response, Trump stated that he may issue a new immigration order and he may choose to appeal the ruling to the Supreme Court. “I feel good that the courts blocked that executive order, and I can arrive in the United States and continue my studies and research,” said Shirazi.